In this article, we will discuss, What is a URL, what it is and how this knowledge can be applied. URL (Uniform Resource Locator) - the address of the file on the Web. Any web page, any image, video, sound recording and other elements, that make up the Internet - it's files. And each of them has its own unique, a unique address, in which the browser finds this particular file among billions of others. Simply put, the entire text, that appears in the browser address bar - this is the URL. If you need to open the entire document is not, but only parts of it, then to a URL can be added to "anchor". 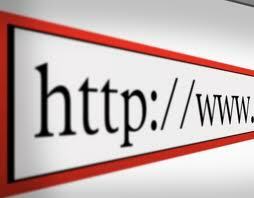 The URL developed by Tim Berners-Lee while working in Geneva, dedicated to nuclear research. Initially, the URL used to specify file paths in the virtual space. However, over time this method of notation addresses began to be widely used in the World Wide Web. Thanks to this invention, so we know the Internet, what it is.